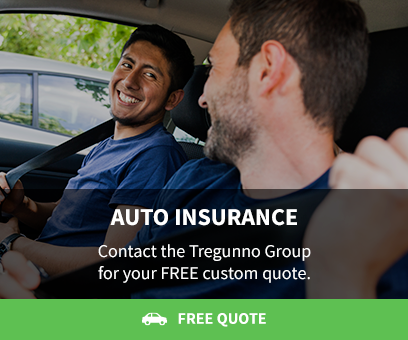 With the Tregunno Group team, you get the very best coverage for your home, auto and commercial insurance needs, at competitive pricing, with the personal touch that makes all the difference when you need it. Jennifer joined Youngs Insurance and, together with her brother-in-law, Greg Tregunno, created The Tregunno Group. Jennifer has found her niche in Personal Lines Insurance service and office management. Clients become part of the Tregunno Group when they join the brokerage, and the service and attention they receive reflects that membership. Jennifer feels a great responsibility to clients to provide them with the coverage they need, at a price they can afford and is honoured that, year over year, they choose The Tregunno Group team to protect what they hold dear. Jessica's education in the insurance industry is ongoing. Over the past 14 years she has explored many difference facets of the insurance industry, including accounting, advertising, underwriting, marketing and customer service. Most recently, Jessica found her passion in Commercial Insurance where she handles service for small, mid-sized, and large commercial enterprises. Making connections with clients and meeting their coverage needs for their distinct and evolving businesses is what makes her role with The Tregunno Group team so rewarding. Janet's insurance experience has predominately been outside of the brokerage with insurance companies in an underwriting role. Her recent shift to a brokerage setting has allowed her to expand her knowledge and perspective, and has provided her a great balance in experience and interaction with clients. After competing the Registered Insurance Brokers of Ontario (RIBO) Certification, she joined The Tregunno Group team, where she continues to be committed to continued education and always challenging herself. Mandy began her career in insurance in 2009, and enjoys the challenges of both commercial and personal insurance. She has found success and fulfillment in her work as a personal lines TSR and has a future goal of being a Registered Insurance Broker in Ontario. Mandy prides herself in her efficient and prompt service and the strong relationships she maintain with her colleagues.